A half hour animated film for all the family based on the much-loved book written by Julia Donaldson and illustrated by Axel Scheffler. 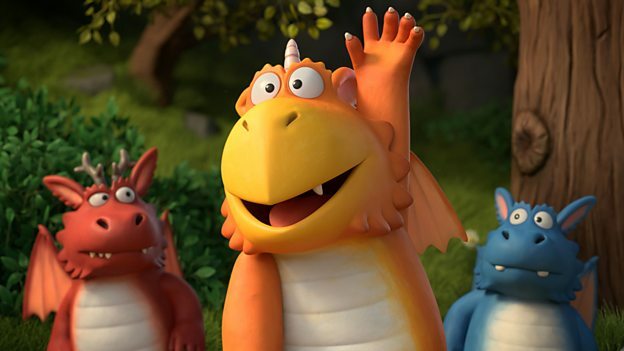 Zog tells the tale of a clumsy young dragon who longs to win a gold star at Dragon School. He’s the keenest pupil and he tries as hard as he can to learn to fly, roar and breathe fire. But every year the gold star eludes him when his valiant efforts end in mishap and a kind young girl with medical ambitions finds him and patches up his bumps and bruises. Then in Year Four all the young dragons are instructed to capture a princess. Zog tries and tries but still he can’t manage. When he meets the girl, she reveals that she is in fact a princess. She is desperate to escape the confines of her strict palace upbringing and allows Zog to ‘capture’ her. He finally wins the coveted golden star. In Year Five the dragons learn to fight, at which moment a bumbling knight, Sir Gadabout the Great, arrives, claiming he is going to rescue Princess Pearl. Zog and Gadabout square up for a fight about who is going to keep Pearl. At that moment Pearl stops them, tells them off for fighting, and reveals that she doesn’t want to be a princess, she wants instead to be a doctor. Realising his chance to change his destiny as well, Gadabout says he’d like to join her and asks her to train him up. Pearl even works out how to include Zog as their special flying ambulance. All three, Princess Pearl, Sir Gadabout and Zog, defy the expectations of their upbringing and set off into the sunset to make the world a better place - "The Flying Doctors waving as they zigzagged through the blue." From Magic Light Pictures, producers of the hugely successful films The Gruffalo, The Gruffalo’s Child, Room on the Broom, Stick Man, The Highway Rat, and Roald Dahl’s Revolting Rhymes. 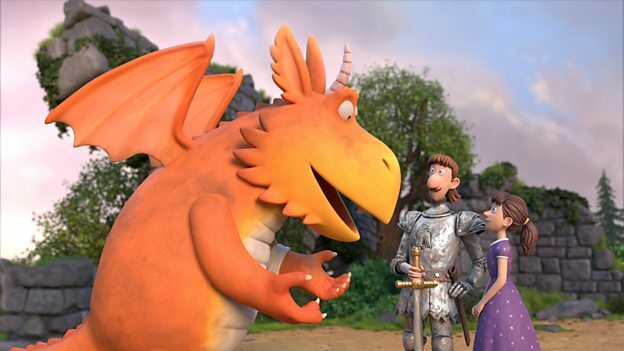 Featuring the voices of Sir Lenny Henry as the Narrator, Hugh Skinner as Zog, Tracey Ullman as Madame Dragon, Patsy Ferran as Princess Pearl, and Kit Harington as Sir Gadabout. And of course, some added vocals by Rob Brydon as it really wouldn’t be a Magic Light Christmas Special without him! Directed by Max Lang and Daniel Snaddon; produced by Michael Rose & Martin Pope of Magic Light Pictures; with animation services provided by Triggerfish Animation. 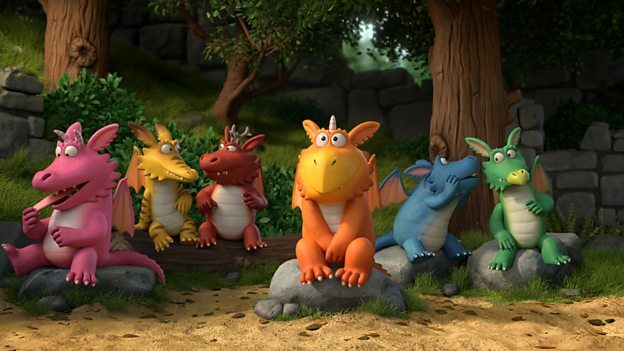 Zog is based on the imaginative book written by Julia Donaldson and illustrated by Axel Scheffler, the UK’s bestselling picture book team. It was first published by Alison Green Books, an imprint of Scholastic, in 2010. This is Magic Light’s sixth animated adaptation of a Donaldson & Scheffler picture book. Their previous films are established family classics; and the most recent, The Highway Rat, premiered on BBC One, Christmas Day 2017 to an audience of 6.4 million. Since then it has been awarded the prestigious Rose d’Or by the EBU for the Family and Youth category and the Audience Choice at New York International Children’s Film Festival. In 2016 Magic Light produced a two-part animated special based on Roald Dahl’s Revolting Rhymes. The films were watched by over 10 million viewers for their first broadcast. The films garnered Magic Light’s fourth nomination for an Oscar; won their second Bafta and second International Emmy; and multiple other awards including the Cristal for best TV Production, Annecy. "It's wonderful to have voiced the narrator in Zog for this Christmas. The story has a lovely lyricism to it and it's been really good fun seeing the beautiful animation come together. There's a cast of brilliant actors and the story is silly, and outrageous, and surreal, and I like all of those things!" 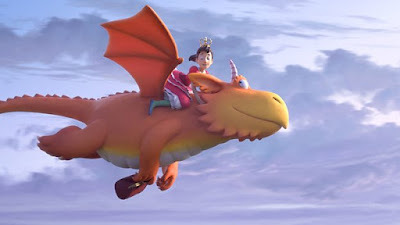 "I’m a huge fan of Julia Donaldson and Axel Schleffer’s books and Zog is a hell of a guy, so I really couldn’t believe my luck when I got asked to voice this accident prone, orange dragon. The book has a fantastic message about not being afraid to be different so I was thrilled to be a part of it. It’s been amazing seeing how the animation develops and having loved Magic Light Pictures’ other adaptations I can’t wait to see in full what they do with Zog."